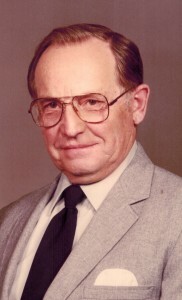 DUNKIRK: Gern Ferry, Jr., 97, a resident of Chautauqua Nursing & Rehab Center, Dunkirk, formerly of Forestville, died Wednesday, April 10th, 2019 at his residence. He was born in Forestville, on November 25, 1921, the son of the late Gern and Minnie (Wilkes) Ferry, Sr. Survivors include a daughter, Linda (Gregory) Prechtl, of Fredonia; two sons Ronald (Trish) Ferry, and Douglas Ferry, both of Forestville. Also surviving are 6 grandchildren, 9 great grandchildren and several nieces & nephews. Besides his parents he was predeceased by his wife Elinor L. (Martin) Ferry, whom he married on December 11, 1946 in the Forestville United Methodist Church Parsonage and who died January 2, 2019, 3 sisters Minerva Wilson, Loda Metzler, Lucille Cooper and by 5 brothers Truman, Stanley, Donald, Howard and Julius Ferry. Friends are welcome to call at Riles & Woolley Funeral Home, 39 Main Street, Forestville on Sunday from 4-7 PM from where Funeral Services will be held Monday morning at 11 o’clock, with Rev. James D. Hankey, pastor of the Forestville United Methodist Church, officiating. Interment will follow in the Pioneer Cemetery, Forestville. 1 Comment on Obituary Notice – Gern Ferry, Jr.
Sending my condolences to Gern’s family. I am so thankful that I have gotten to know gern in the past two years. He was absolutely one of my favorite people, and he would always put a smile on my face.